Have you looked under the 710 cap in your car lately? If you haven’t, you should; it’s vital to your car, and if the 710 is too low, you could damage your car. You may be asking, “What is 710? Why can’t I find it on my car?” If you can’t find it, it may be upside down; in which case it may say OIL. Bad car jokes aside, checking your oil periodically, along with the rest of your car’s fluid, is important; and can help you prevent unnecessary wear on your car, if a particular fluid is low, and may even help you save a nickel or two at the gas pump. So we’ll discuss how to check the different levels; starting with how to park your car. Make sure the car is on a flat, level surface; so the fluids are likewise level. To check your 710… er, oil, you need to look for the handle which is sometimes shaped like a curly q, or the top of a question mark, or it may have a picture of an oil lamp on it, as our picture shows. The handle, when you find it, however it looks, should be next to the engine block. When you grab hold of that handle and pull up it’ll bring with it a long, thin strip of metal; this is known as the “dipstick”. You’ll need a rag or a tissue to wipe off the oil on the dipstick. Put it back in the spot you pulled out from, pushing it all the way back down and pulling it out again. This is to get a clean, accurate reading of how much oil is actually in your car. Look towards the end of the dip stick and find the mark engraved in the strip of metal, which should read something to the effect of “full.” If the oil that’s now on the dip stick doesn’t reach that line, you need to add oil right away, until it does. You can add oil to the spot you pulled the dipstick from, using a funnel; or by finding the cap on the engine itself labeled “OIL,” pouring the oil directly into there. If you use a funnel, try to avoid using the same funnel with different fluids, so as not to contaminate them. Next is the radiator. 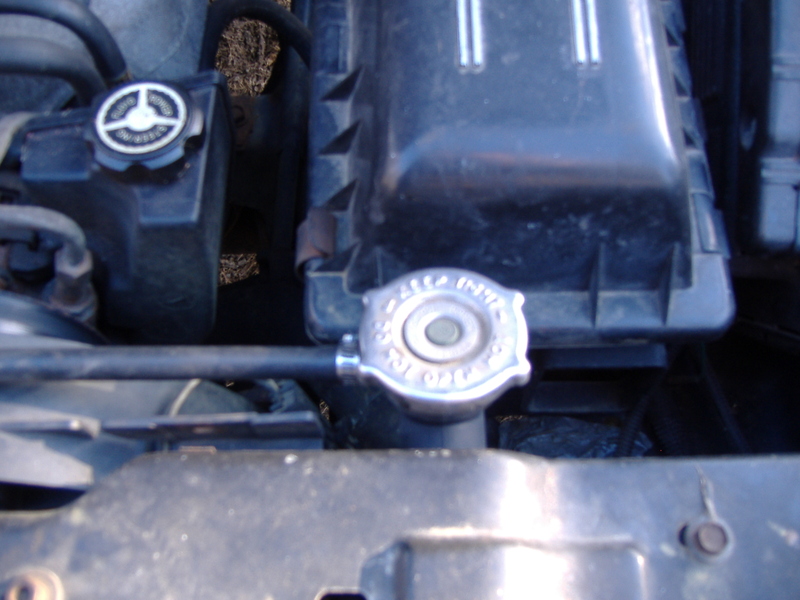 NEVER remove the radiator cap, after the car has been running. If you’re not sure if it’s been running recently, err on the side of caution and don’t touch it. As discussed in our previous blog about the radiator, radiator fluid gets very hot – so hot that the fluid inside the radiator becomes highly pressurized; and if the cap is loosened, the pressure inside could force the cap off and release the extremely hot and fast escaping steam, which can seriously injure someone standing nearby. 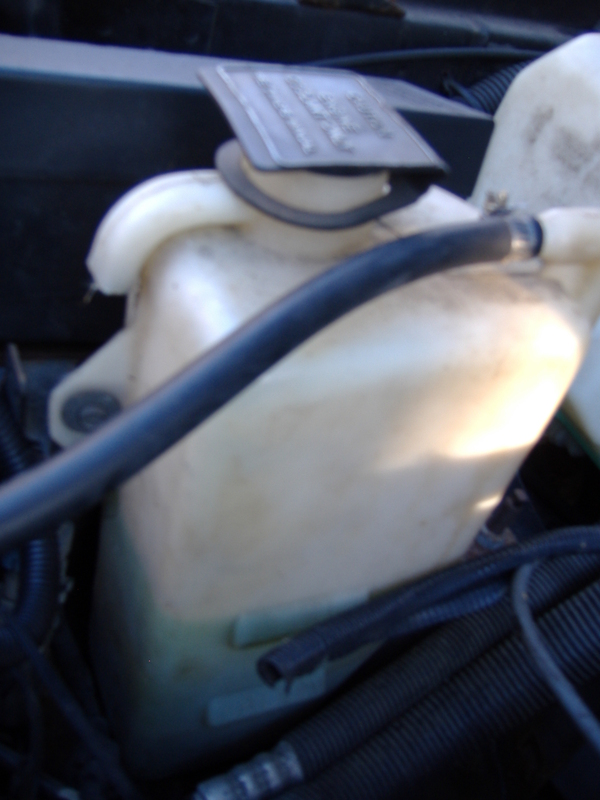 If you’re positive the car has not been running recently, and the radiator fluid is cool, you can remove the cap and make sure there’s fluid in the reservoir, but generally you just need to check the overflow tank; which is a plastic container mounted off to one side, under the hood. 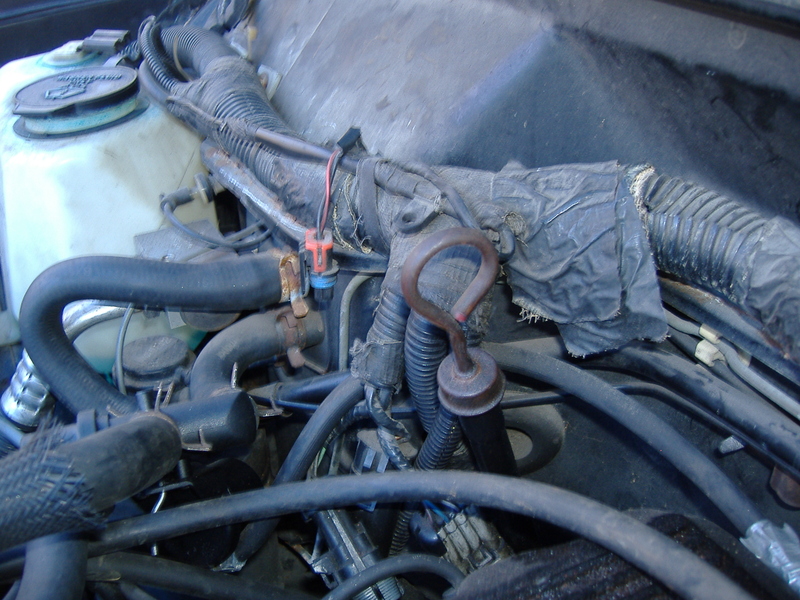 Follow the hose from the radiator, which leads to the overflow tank. Different car manufacturers dye their radiator fluid a variety of colors, however the fluid you’re most likely to find, especially in older cars that have had coolant added at some point in its lifetime, is green. The overflow tank has a mark when fluid should be added, and when it’s full; make sure you know whether you’re adding a 50/50 solution of coolant and water (comes already mixed) or undiluted coolant that you need to cut with water. Radiator fluid cannot be used undiluted. If you have an automatic transmission, you’ll find the transmission dip stick somewhere near the engine, on either the left of the right side; the location can differ between different makes and models of car. The handle can also differ, so if you’re not certain, check your manual, or ask a professional. It’s especially important not to confuse your oil dipstick with your transmission fluid dipstick. To help tell the difference, transmission fluid is a deep red, while oil is a dark brown and may look darker still, depending on how recently you’ve done an oil change. The major difference though, between checking your oil and checking your transmission, is that to check the transmission fluid, the vehicle should be running; and you should have it running for several minutes prior to checking the transmission fluid. 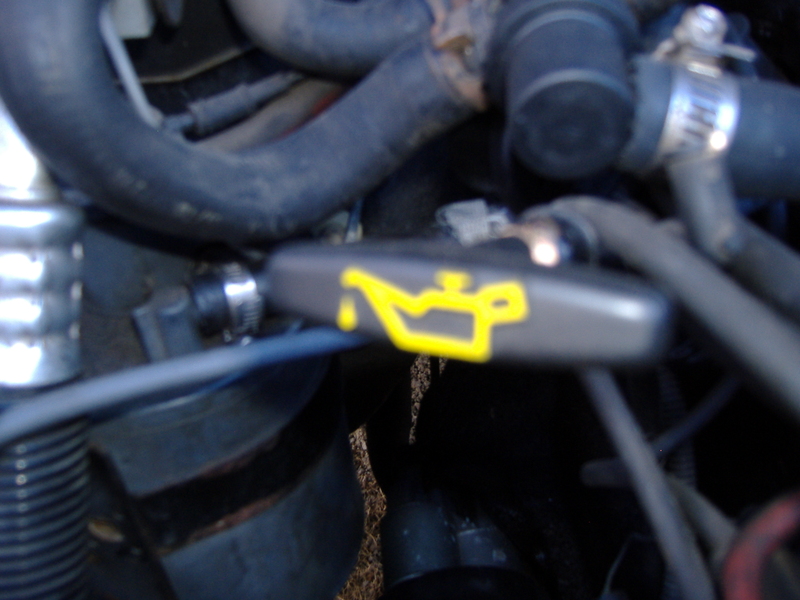 Like checking oil, wipe off the dipstick, put it back in and pull it back out, to ensure an accurate reading. Unlike oil, if your car’s transmission fluid is low, there’s usually only one place you can add it; place a funnel in the same spot you pulled the transmission dipstick from and add your transmission fluid there. You should also check and add wiper wash, if needed, so that if your windshield gets dirty for any reason; you don’t have to drive with partially obstructed vision. 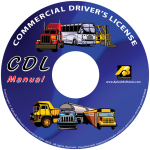 All of these little maintenance touches will help prolong the life of your vehicle. 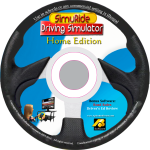 If you have a new driver in your household, adding extra miles to your vehicle; checkout our line ofdriving simulators – they don’t require any fluids, or even gas! 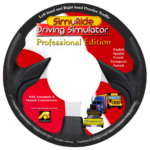 This entry was posted in Car Maintenance, Driver Training, Driving Safety.